Walking the dog. Doing puzzles. Going to church, temple, or mosque. Listening to the radio. Doing household chores. What do they have in common? A growing body of research and scientific evidence suggests that participating in activities that have meaning to us can keep us connected and engaged and support a sense of purpose in life. This is particularly important as we age and is true regardless of a person’s physical or cognitive status. Call it a “prescription” for healthy living. Meaningful activity that engages us has both immediate and long-term benefits. There is emerging evidence that staying engaged in hobbies and other social and physical activities you care about may protect against depressive symptoms and social isolation, and may possibly slow progression of mental decline. If this benefit were available in pill form, prescriptions would fly off physicians’ prescription pads. Engagement is what makes us human. This universal need never goes away, no matter how young or old or how cognitively or physically well or impaired we may be: it is an enduring need. The benefit of engagement in an activity is not simply about getting more physical exercise, although exercise is certainly beneficial and recommended. The real point is that benefits can accrue from engaging in any activity that brings pleasure to the person doing it. The key is that the activity is meaningful and engages the person. Engagement may be particularly important for people living with dementia. To date, there is no pill or medication that addresses the multiple consequences of dementia, such as cognitive changes, behavioral symptoms, and functional decline. 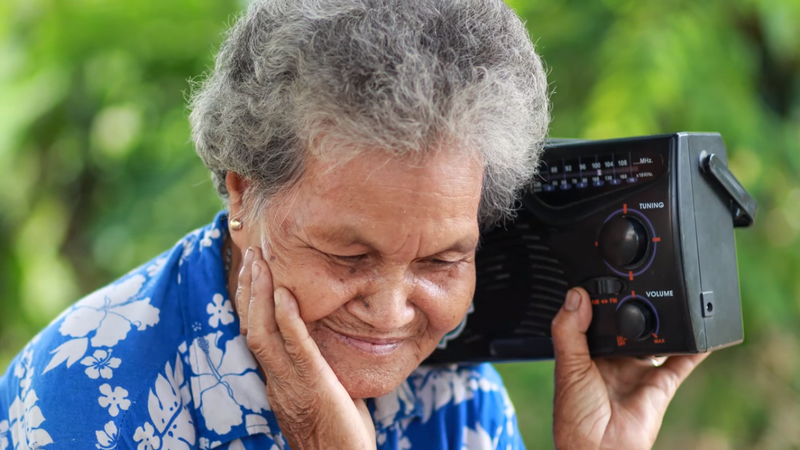 However, there is growing evidence that helping people who are living with dementia remain engaged in activities that have intrinsic interest and are customized to their abilities can enhance their daily quality of life. Remaining engaged in tailored activities can also help other family members, by providing opportunities for respite as well as enabling participation in mutually pleasant events. One of the most challenging aspects of supporting someone living with dementia is knowing how to help that person remain connected and engaged. People living with dementia often experience a loss of social roles and sense of purpose, as well as boredom from nothing to do, confusion, and disorientation. These unmet needs may contribute to behavioral symptoms that are upsetting to both the person and family, such as yelling, wandering, rejecting needed help, repetitive questions, and aggression. A prescription for an activity tailored to the interests and abilities of a person living with dementia is, in this way, like a “pill.” Positive engagement can address unmet needs, and mitigate the profound toll dementia takes on families. Our program, New Ways for Better Days Tailored Activity for Persons Living with Dementia and Caregivers (or TAP for short), does exactly that. Delivered by occupational therapists, our program involves a systematic assessment of the interests and abilities of an individual living with dementia, a caregiver’s availability and readiness to use the activities, and the supports and barriers for activity engagement posed by the physical environment. From this assessment, three activities are identified, and families learn how to set up the activities and integrate them into daily routines to support engagement. We have evaluated this approach in homes, adult day service settings, hospitals, and long-term care facilities, and results are promising. This approach results in reductions in challenging behavioral symptoms, the maintenance of functional abilities, perceived improvements in quality of life in people living with dementia, less distress among caregivers, and more free time. TAP is about promoting engagement, rather than new learning, or doing things exactly right. Although programs like TAP are becoming more available locally and globally, barriers for using this approach need our attention. Many homes, neighborhoods, and institutions are not ideally set up to support active engagement. For example, as we get older, barriers to participation in the activities that are meaningful to us may include transportation challenges, or needing help to organize or set up the activity. However, these barriers are not insurmountable, and with a little creativity and some smart policy, we can make progress. The medical community could contribute by recognizing engagement and activity as key drivers of good health and quality of life. Sharing this information with patients and families, and especially with people living with dementia, would be important. Exploring possibilities with people and helping them to keep up with valued activities could be integrated into the Medicare Annual Wellness Visit. Greater recognition of engagement as a social determinant of health would help. Certain Medicaid waivers provide coverage of home modifications and adaptive devices that make staying engaged at home easier. Expanding this benefit, perhaps even to Medicare, could help millions. We now know that the use of activity tailored to people’s interests and capabilities holds the promise of promoting quality of life in a way that no known medication presently can, and particularly for persons living with dementia. So arrange flowers. Play the music you (or your parent) likes to dance to. Watch the birds on the feeder. Dust the living room or snap some beans. Because the research is in: activity that is meaningful to you — regardless of what it is — is good for you, and is a prescription for maintaining quality of life. Dr. Laura N. Gitlin, PhD, is an applied research sociologist, and the Isabel Hampton Robb Distinguished Professor in the Department of Community Public Health at Johns Hopkins School of Nursing. Dr. Gitlin is also the Director of the Center for Innovative Care in Aging. As of February 1, 2018, she will become Distinguished Professor and Dean of the College of Nursing and Health Professions at Drexel University. She is nationally and internationally recognized in the areas of nonpharmacologic approaches in dementia care, family caregiving, functional disability and aging in place.